How do you like my ombre hair with an ombre sweater? This is my lazy outfit, sometimes I just want to throw on a sweater and call it a day. It amazes me how this circle scarf I got at work matches the sweater so perfectly. Oh, and tapestry... I can never get enough! Tapestry coats, tapestry handbags, tapestry shoes, I have it all! Ombre knit sweater by Staring at Stars from Urban Outfitters. Knit circle scarf from my work Sway.Vintage floral tapestry booties from etsy. 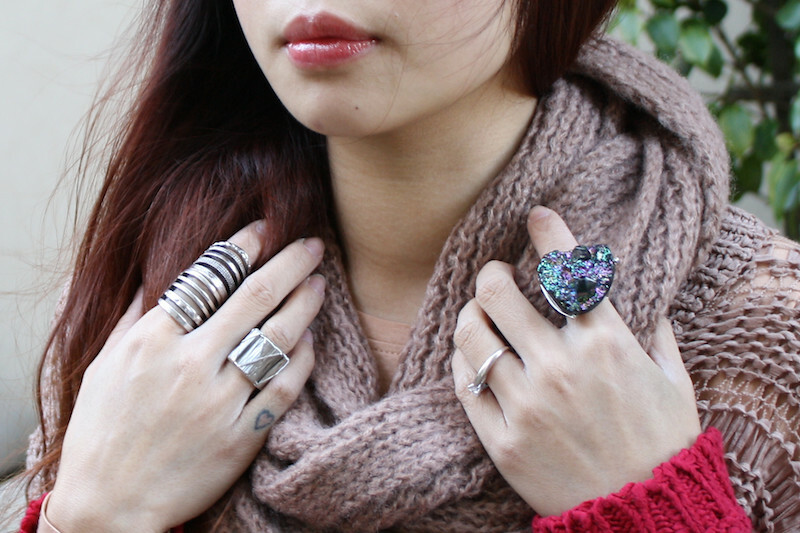 Armor knuckle ring from H&M. Wrapped wire ring from my work Sway. Quartz cluster ring from F21. 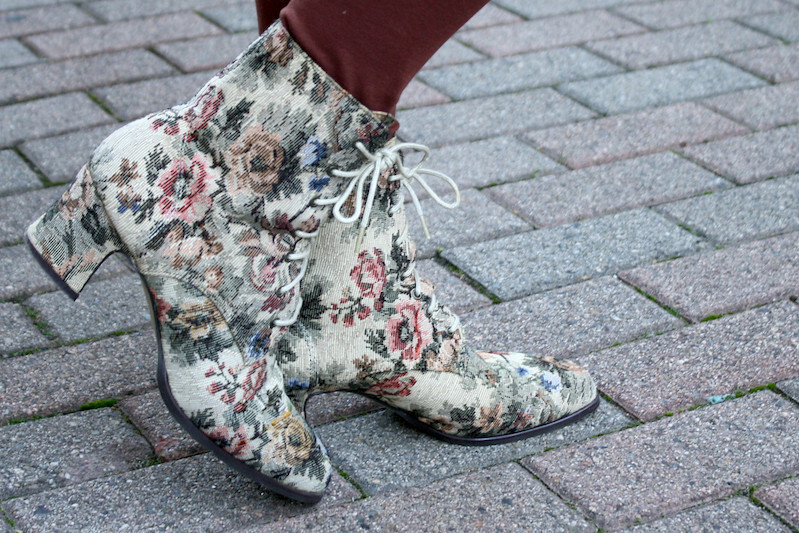 Your vintage tapestry booties are incredible. I am so obsessed with tapestry. This is such a great outfit. 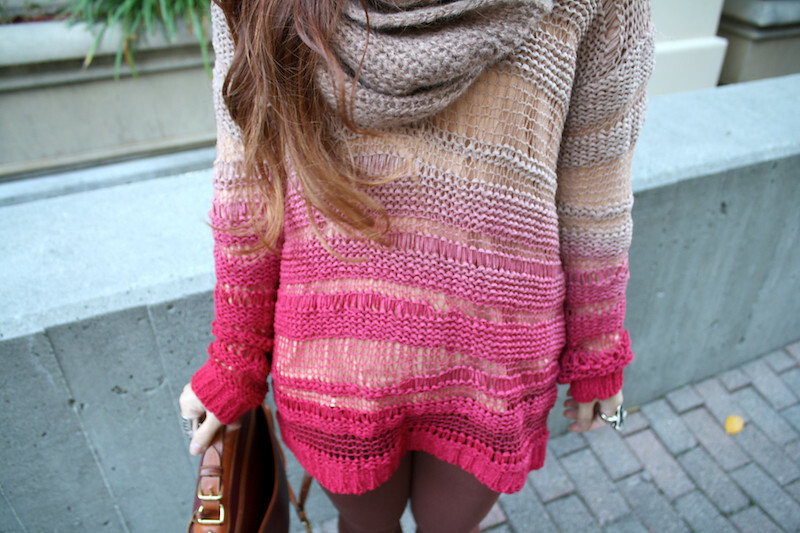 I adore the slouchy sweater. You look so comfy yet still put together and I loooove that bag! Your hair looks great Toshiko! I love it! wow! love your shoes collection!!! 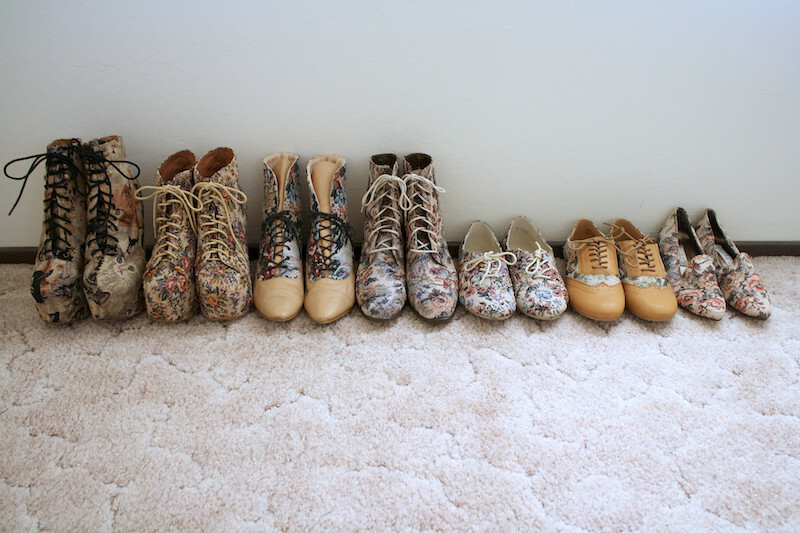 i've been looking for these Jeffrey Campbell floral tapestry Lita everywhere!! where did you purchase yours?